It is never easy to list the "best" or the "top" of anything, but as a qualified chef, I have spoken to a lot of other top chefs who have shared their thoughts on schools. At the end of the day, it is up to the individual. However, here is a list of options for you to consider if you are thinking that becoming a chef is your main goal in life! This is probably the most well-recognized culinary school in America, if not the world. Students come from all over the world to attend this fine academy. The three separate campuses houses over 40 kitchens with more than top rated 100 instructors. This school also comes at a price, but fortunately most of the students who attend are able to get financial aid. Some of America's finest chefs have attended this school. Anthony Bourdain was one of them. This is another school, which is situated in New York City and held in high regard. The focus is on French food, bringing in a modern touch of the westernized style and teaching the students the basics of fine food and everything there is to know about the art of cooking. This has really established a name for itself. It is one of the biggest, oldest and well-known in the world, which started back in 1886. The main schools of The Cordon Bleu are in Paris, London, Australia and Canada with other campuses growing all over the world. Students will study a curriculum based on French cuisine which has recently been modernized to an extent. Students also have the option to take on one of the degree programs that are available at the school. The majority of the students who graduate from the Cordon Bleu school end up working at top restaurants and hotels as well other chef jobs in the industry. The South African Chefs Academy is owned by chefs, Garth Stroebel and Paul Hartmann. They do almost everything themselves and this is what makes it unique. They have also been in the industry for all of their lives and prospects of jobs once the students have graduated are very good. This is what makes it one of the best chef schools. The pastry section is well run by an experienced pastry chef. The facilities in this academy of very impressive. There are seven different kitchens which students will make full use of. It is a 3 year program that will include hot kitchen, pastry and the bakery section. There is also a public restaurant where which is open at lunch time. Lectures are held in a modern audio hall. What better place to come and learn about the catering industry than Switzerland! It's a 1 year course which teaches students about the basics of food techniques as well as production in the kitchen and is very practical. You will also learn kitchen accounting as well as French and German communications in the kitchen. This is well run school in the Philippines by Alain Ducasse Formation who is in partnership with the school and is widely recognized in the world of chefs. This program is only offered to students who have a bachelor's degree. It is an intense program and quite often involves the science of cooking. The Tante Marie is situated in the United Kingdom and has actually actually been going a long time, but since it has been taken over by the Gordon Ramsay group it has become more popular as one might expect. It is another Cordon Bleu cooking school so it obviously has a good name. This is a university in France that is probably one of the most respected and elite in Europe. Gaston Lenôtre founded it back in 1971. The institution focuses on the classics of french cooking, not forgetting to teach the students about new and modern techniques. 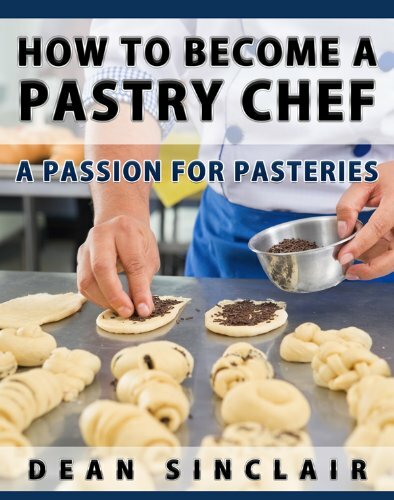 This school is unique in that it allows students to experience life as a chef in working kitchens and bakeries so it is more than just a school. Students get to speak to top-class chefs and gain insight into their world as a chef. Internships can be arranged and they can also be paid with degree programs that are on offer. Learn to Chop Like a Chef - Not only for someone who is preparing to go to culinary academy, but anyone who is busy in the kitchen on a daily basis will benefit from this by speeding up on their knife skills, while sticking to safety at the same time. How to Choose Your Culinary School - Now that you know the schools that are available, as well as more that are in your area, you should be informed as to what to look out for. This article will tell you more. Are You Cut out to Be a Chef? - This is important to know before you rush into the career and find out it's not what you thought it was going to be what you dreamed of. 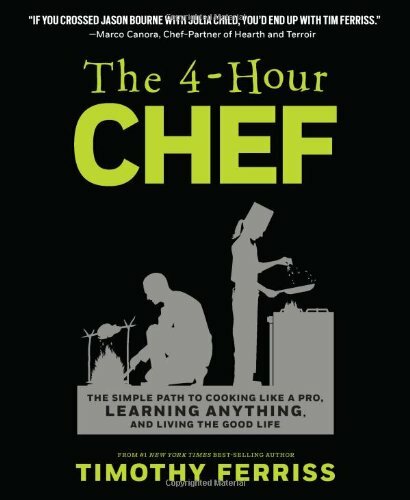 The Tim Ferris approach to becoming a chef. 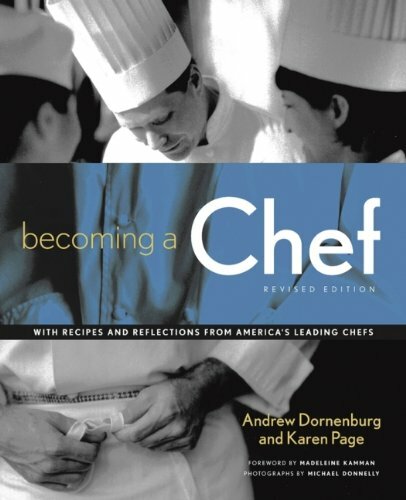 Often one is given an unrealistic approach as to what the life of a chef is all about. This will tell you that it is not about having your own T.V show, and it consists of hard work. Every chef started in the exact same way.